All three meetings will feature talks from Dr Andy Burrows (University of Bath, UK), Professor Jing Li (Rutgers University, USA) and Professor Christoph Janiak (University of Dusseldorf, Germany) with additional speakers that will be unique to each event. To register for any of the events and to view the full list of speakers, see the symposium’s webpage. Like what you read? If so, please comment below. If you’d like to submit your work to Dalton Transactions, you can do so by using this direct link: http://mc.manuscriptcentral.com/dalton. Researchers in Japan have demonstrated the exceptional potential of a hydrated titanium oxide to extract lithium from salt lake brine collected from Salar de Uyuni in Bolivia, the world’s largest salt flat. Demand for lithium is growing alongside the development of lithium ion batteries. This strain on scarce supplies puts the cost and effectiveness of current methods for harvesting lithium into question. Interested? Read the full article at Chemistry World. The Royal Society of Chemistry has awarded a National Chemical Landmark blue plaque to the University of Oxford Inorganic Chemistry Laboratory, to celebrate the 50th anniversary of Britain’s first female Nobel Prize winner. 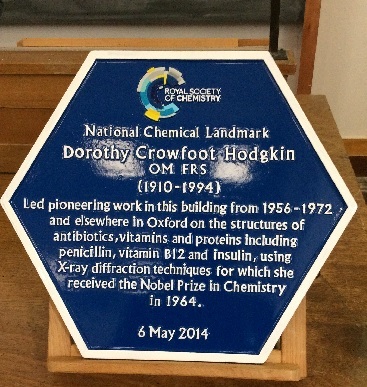 Chief Executive of the Royal Society of Chemistry, Dr Robert Parker, spoke at the plaque presentation and said: “I am delighted to be here again, to honour and celebrate the work of Dorothy Crowfoot Hodgkin. Dorothy Hodgkin won the Nobel Prize “for her determinations by X-ray techniques of the structures of important biochemical substances”. Amongst her most significant discoveries are the confirmation of the three-dimensional structures of penicillin, Vitamin B12 and insulin. An award symposium to mark the presentation saw Professors Susan Lea , Paul Raithby and Andrew Goodwin discussing their work in the field of crystallography, and how the field has changed in the 50 years since Hodgkin’s Nobel Prize. 2014 is International year of Crystallography and the events at Oxford’s Inorganic Chemistry Laboratory form part of the year-long celebration. 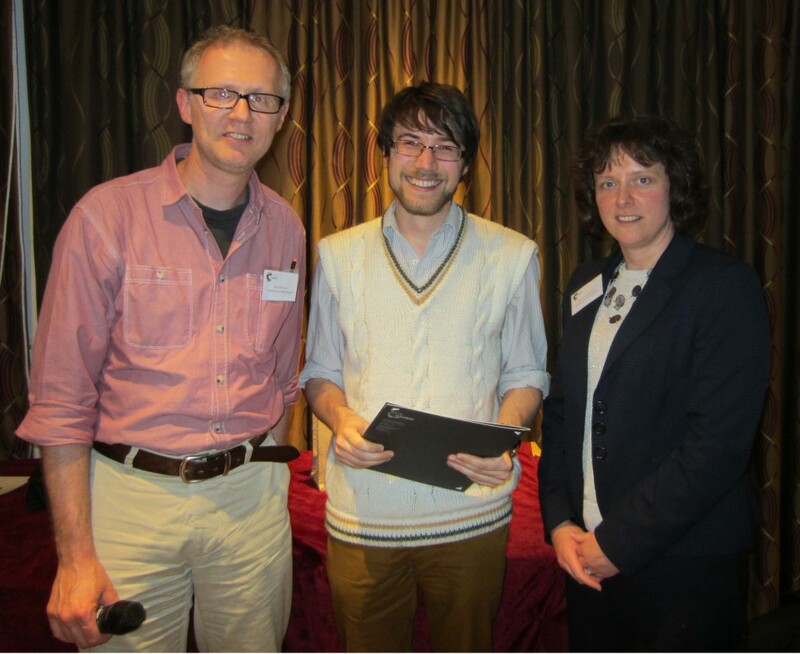 We were delighted to award six winners with poster prizes at the Dalton 2014 Joint Discussion Meeting . The Dalton 2014 Joint Discussion Meeting was held at the University of Warwick in April and was attended by 200+ delegates with 150 posters presented. Poster prizes were jointly sponsored by the Royal Society of Chemistry journals Chemical Science, Dalton Transactions and Metallomics with each winner receiving a certificate and a Royal Society of Chemistry book. 1st Prize was awarded to Mr Jack Rowbotham from Durham University who was also awarded a Dalton Division Bursary to present his work at XVII Brazilian Meeting on Inorganic Chemistry in Araxá, Brazil in August. The award was presented by Dr Sam de Visser from the University of Manchester and Sarah Ruthven, Editor of Dalton Transactions. Well done Jack! Sam de Visser, Jack Rowbotham and Sarah Ruthven. Congratulations to all the winners from Dalton Transactions, Chemical Science and Metallomics! Check out our new HOT articles for May and keep on checking as these are updated every week and more importantly – free to access for 4 weeks! You are currently browsing the Dalton Transactions Blog blog archives for May, 2014.